Our vision is to drive better governance. 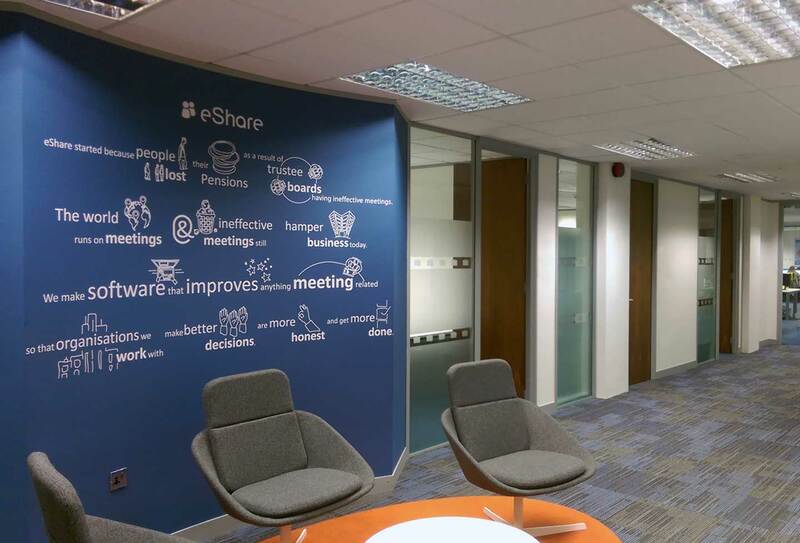 Our mission is to design intuitive, secure software to improve meetings and governance within organisations, promote the use of technology in business and provide leaders with a living view of their organisation. Our workforce is a diverse mix of cultures and characters. Though our head office is in the centre of Newbury, Berkshire, we also have offices around the world – South Africa, Kenya, US, Poland, Germany and Spain – our own meetings can be quite a melting pot! We are respectful regardless of status and we consider other’s viewpoints. We might not agree with everyone, we might not like everyone, we might get frustrated but we will always listen and be polite. When we see a problem we solve it, and when we see an opportunity we make it ours and grab it. We give responsibility and we take responsibility. We take great pride in our work. We take pride in our company. eShare succeeds by looking after our customers better than any competitor; listening to all our clients, to figure out how we can help solve the problems they face. In this way, we continuously develop new products and features that keep pushing the boundaries. We innovate to address our clients’ needs but also to help boards and leadership change to be more accountable and transparent but also better informed and more productive in the time they have. We listen to the challenges our clients have by talking to them, meeting with them and surveying them. We develop our software to address these challenges and improve governance and efficiency starting at the very top of their organisation.